Las Vegas is all about voyeurism – from the bright city lights to spell-binding and dazzling shows, the countless casinos and entertainment venues are all vying for your attention and your tourist dollar. To succeed on the Sin City strip, venues need to produce something truly unique and spectacular to provoke the senses and invoke the imagination. And there is one production who does just that….and more. From humble beginnings in 1984 of just 20 street performers in Quebec City, Canada, Cirque du Soleil has become one of the worlds most watched and admired theatrical shows. Having performed to over 155 million spectators in over 300 cities in 40 countries, this global spectacular has stuck close to their original mission – to invoke the imagination, provoke the senses and evoke the emotions of people around the world. Currently there are eight shows opening their curtains nightly in Las Vegas – the most show performances of any city, at any one time in the world. 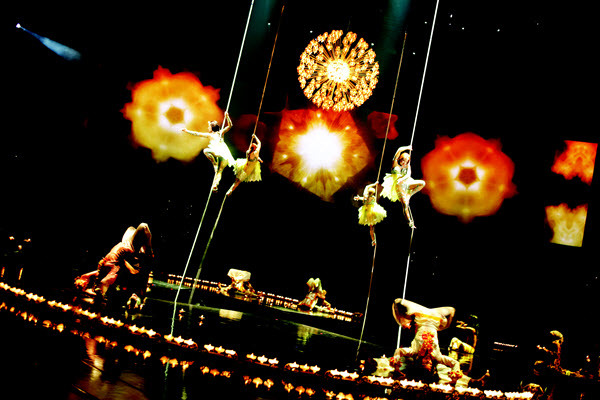 If you’re heading to Vegas then we definitely recommend a Cirque du Soleil show is added to your list. The hard part will be choosing which one to see! Mystere is the original Cirque du Soleil production that has wowed audiences across the globe – a combination of high-energy acrobats with dramatic dance sets to the thunderous rhythms of the Taiko drums. Over 75 international artists provide the ultimate discovery that life itself is a mystery. An aquatic tapestry of artistry, surrealism and theatrical romance are all performed in a custom made 1.5 million gallon pool built into the stage. 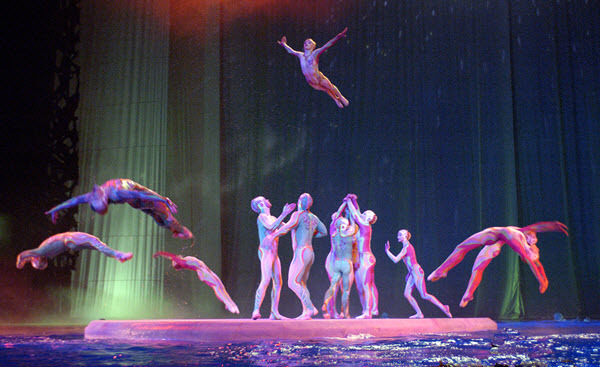 Performers dive from over 60 feet in the air with the show inspired by the concept of ‘infinity and the elegance of water’s pure form’. An incredible show of theatre incorporating water. Titled ‘The Sensual Side of Cirque du Soleil‘, Zumanity is a seductive twist on reality, making the provocative playful and the forbidden electrifying. Well into its 10th year and seen by over 4 million people, Zumanity invites you to leave all inhabitations at the door for this adult-themed production of acrobats and naughty fun. Audience must be over age of 18 years to attend. This gravity-defying show will have you seeing it and experiencing it, but not believing it! 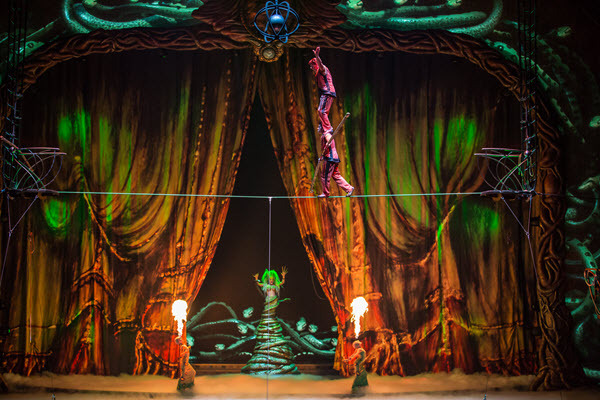 Cirque du Soleil has taken adventure to an all new level with a dynamic theatrical landscape over a colossal centre stage with a captivating display of aerial acrobats. Book cheap tours, activities & transfers world-wide here today. Book cheap hotels & accommodation world-wide here today. Celebrating the musical legacy of The Beatles, LOVE is the recipient of 3 Grammy Awards – Best Soundtrack 2008, Best Surround Sound 2008 and Best Long Form Music Video 2010. A way to experience The Beatles in a way never seen before, the audience will experience a youthful, urban energy with panoramic sound and visuals. One of the most famous magicians on earth, Criss Angel in partnership with Cirque du Soleil present an illusion spectacular with over 40 mind-blowing illusions in one amazing show. 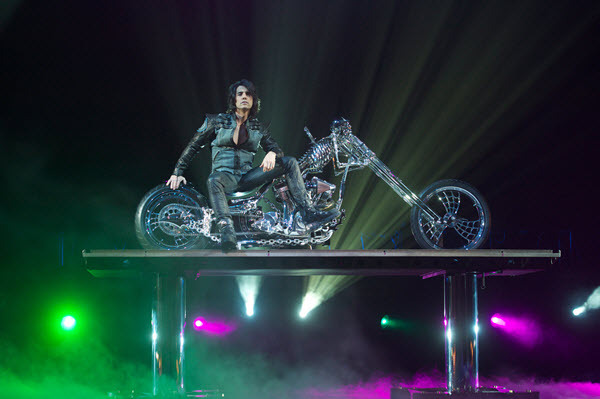 Celebrated as Las Vegas #1 selling magic show, Criss Angel has won more magician awards than any other and has been named ‘Magician of the Century’ and ‘Vegas Entertainer of the Year’. 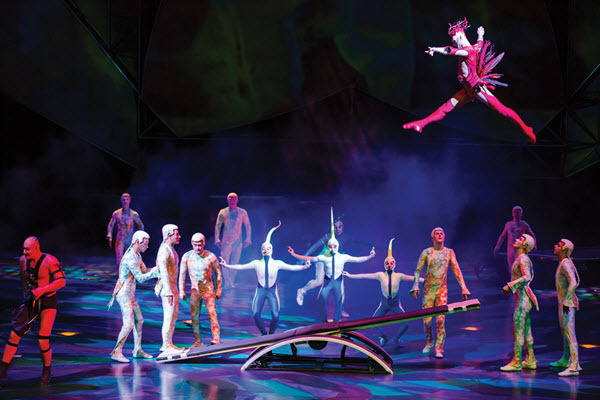 Zarkana is a spirited journey through an abandoned theatre where an extraordinary circus comes back to life. 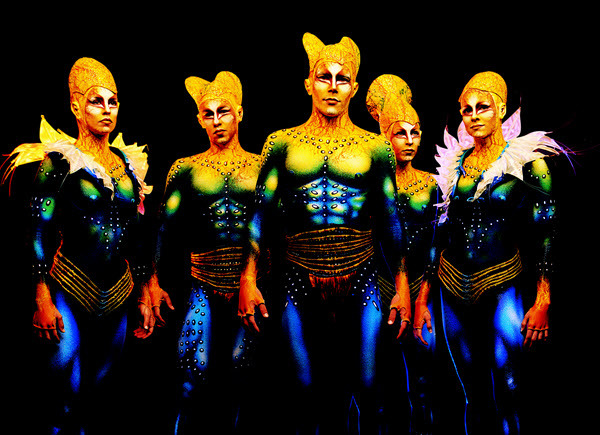 Populated by a motley crew of off-the-wall characters and incomparable acrobats, Zarkana is a visual vortex set in a twisted acrobat universe where chaos and craziness ultimately give way to celebration. ONE takes the audience through a majestic journey which is playful, heart-warming and magical, celebrating Michael Jackson’s powerful and multi-layered music. 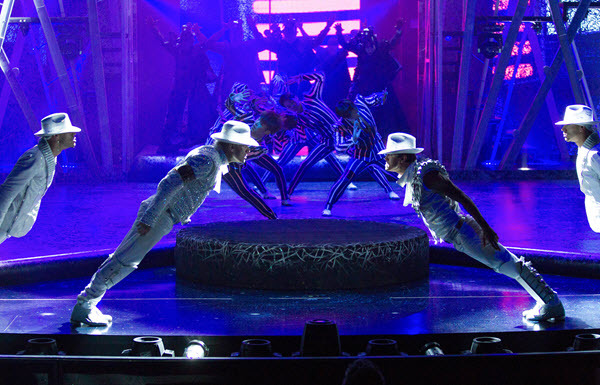 State-of-the-art surround-sound systems will express Michael’s vibrant energy through 63 performers and dancers, underscored by an aerial performance, driving acrobatics and vivid choreography. ONE is a heartfelt tribute to the work and legacy of Michael Jackson. To book tickets to any of these shows visit the Cirque du Soleil website for more information.